Busting scuba diving myths | Latest News & Updates at Daily News & Analysis. Divers face two types of decompression-related injury: decompression sickness (DCS) and arterial gas embolism (AGE). Collectively, these conditions are often lumped together and referred to as decompression illness (DCI). Their common origin is the process of decompression, but their underlying causes differ significantly. clots takes precedence over treating DCI. 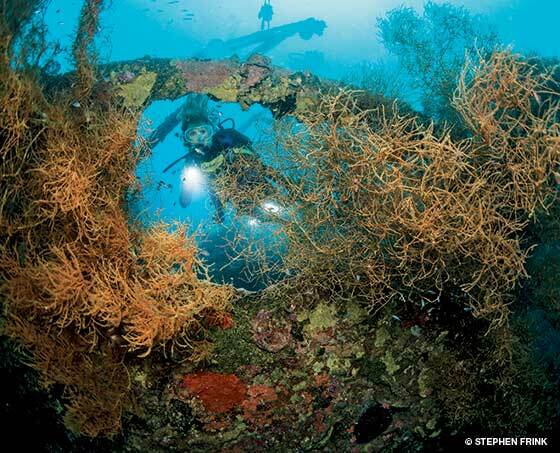 AGE is the disabling injury in 29 percent of dive fatalities and is likely associated with insufficient gas supply, which is the trigger in about 41 percent of dive accidents.1 Emboli are actual or potential blockages of blood vessels by foreign material. They can be composed of gas, blood clots, fat, tumors, amniotic fluid or bacterial vegetations. In the case of AGE in divers, the emboli are made up of gas in the arterial bloodstream resulting from lung overexpansion or pulmonary barotrauma (a physical injury to lung tissue resulting from pressure change). These injuries allow gas to escape from the small air sacs of the lungs (alveoli) and enter the arterial bloodstream. Boyle’s law — which states the volume of a quantity of gas will increase as ambient pressure decreases — explains lung overexpansion on ascent. The reverse of this law is also true: The volume of a quantity of gas will decrease as ambient pressure increases with descent. Divers face the highest risk of pulmonary barotrauma in shallow water. The greatest pressure differential experienced by divers in the water column (relative to the ambient pressure at the surface) occurs within the first 10 to 15 feet. Expansion of gas beyond the point that the alveoli can accommodate it results in lung tissue damage and enables air trapped in the lungs to escape into the pulmonary veins, which return oxygenated blood to the heart. When this happens the escaped air can enter the heart and traverse to the brain, where acute neurological injury may occur. The speed with which this happens explains the rapid onset of symptoms following a dive — AGE occurs within minutes. Pulmonary barotrauma can also manifest as free air in the mediastinum (an area in the chest between the lungs), which is known as pneumomediastinum, or it may manifest as a pneumothorax (air in the chest cavity outside the lungs). The greatest threat to divers is an AGE that reaches the brain, a condition known as cerebral arterial gas embolism (CAGE). Symptoms of CAGE manifest at or near the surface immediately after a dive, and approximately 50 percent of divers who suffer CAGE experience sudden unconsciousness. Others may have acutely altered mental status or loss of coordination or strength, which are signs and symptoms of stroke and are the result of restricted blood flow to parts of the brain. Those who survive the initial injury may spontaneously revive within minutes, showing varying degrees of neurological injury or even a return to normal function. Regardless of apparent normality, all victims of pulmonary barotrauma, AGE or CAGE should be evaluated urgently in a hospital emergency department. Neurological symptom recurrence is known to happen in patients with apparent full recoveries. The consensus among hyperbaric physicians is that anyone who shows signs of neurological injury after a dive should be evaluated. 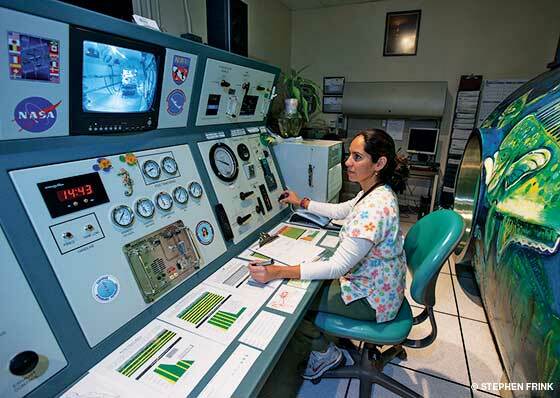 People diagnosed with AGE should receive hyperbaric oxygen therapy (chamber treatment). 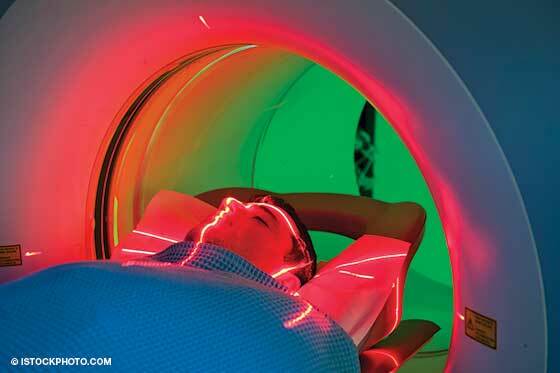 CT scans of the head are often part of these patients’ initial evaluation when they reach the emergency department. It is important to assess the existence of brain lesions or a stroke prior to initiating hyperbaric chamber treatment — not because hyperbaric treatment will worsen the condition but because bleeding in the brain requires immediate surgical intervention. Ruling out intracranial bleeds and blood clots, which can also cause acute neurological injury, is an important step; the absence of these factors supports the diagnosis of diving-related AGE and the use of hyperbaric oxygen therapy. are correlated with DCS symptoms. DCS is associated with the absorption of inert gas (nitrogen or helium) into tissue coupled with an ascent to reduced ambient pressure, where the elimination of the gas may result in bubble formation. This promotes inflammation and tissue trauma. Integral to understanding this disease are the gas laws of Boyle, Henry and Dalton. Boyle’s law explains why we must inhale progressively greater numbers of gas molecules per breath as we descend for our bodies to maintain pressure in our chest equal to that of the ambient environment. The increased number of gas molecules in our lungs relative to those in our blood and tissues creates a diffusion gradient, which, according to Henry’s law, drives the gas molecules into solution. Which and how many of these molecules we absorb is defined by Dalton’s law and is also influenced by differences in blood flow to different parts of our body. The longer and deeper we dive, the more gas we absorb. When sufficient quantities of inert gas come out of solution and form bubbles during ascent, local and systemic inflammatory and vascular reactions may ensue, potentially leading to a broad range of clinical manifestations. Unlike AGE, DCS bubbles exist primarily in the venous bloodstream and within tissues, and symptoms may not appear for several hours. DCS is linked to an inert gas load (decompression stress) and the presence of bubbles in the bloodstream. 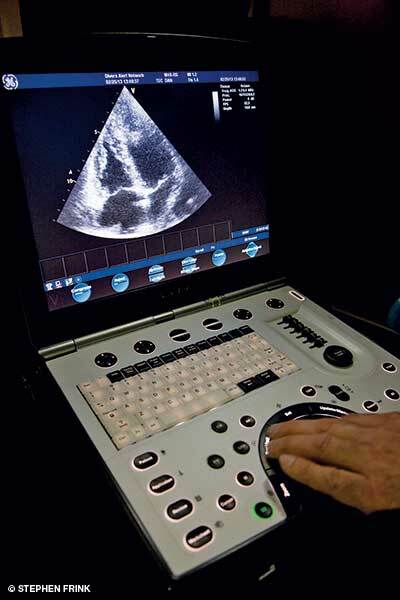 Although high bubble scores (as evaluated by ultrasound) are not diagnostic of DCS, they indicate considerable decompression stress and are more highly associated with the onset of DCS symptoms than lower scores. Symptom onset time is roughly correlated with inert gas load: Higher loads are associated with quicker onset and more rapid progression of symptoms. A fascinating aspect of DCS is that symptom onset often occurs well after bubbles are detectable. Thus, while bubble detection is an indicator of decompression stress, it is not a diagnostic criterion. Multiplace chambers enable accompaniment by medical staff, which is important for seriously injured people. Current research in DCS is focused on biological markers that can be detected in the blood. Investigators are exploring the potential association between decompression stress and the presence of membrane microparticles (membrane-bound vesicles shed from a variety of cell types) in the blood. Microparticle levels increase in association with many physiological disease states as well as with the shearing stress caused by bubbles in the blood. The working hypothesis is that certain microparticles (possibly induced by inert gas bubbles) may initiate, be a marker of or contribute to the inflammatory response that leads to DCS. This investigation goes beyond the pure bubble model. While bubbles in the blood certainly play a key role in the development of DCS, their presence or absence doesn’t reliably predict DCS symptom onset. Investigating this process at the molecular level may teach us a great deal more about DCS, providing insights that we hope will improve the effectiveness of both prevention and treatment. Fortunately, DCS occurs infrequently. Based on data DAN gathered through Project Dive Exploration, the overall incidence of DCS is two to four cases per 10,000 dives. This incidence rate drops to zero to two cases per 10,000 dives from warm-water resorts and liveaboards and rises to 10-12 cases per 10,000 dives in sample populations of deep technical dives in northern Scotland. 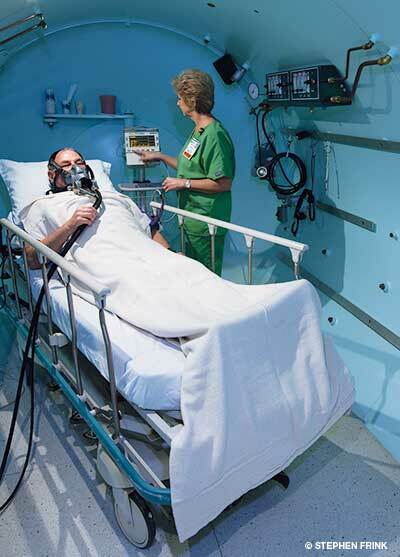 Hyperbaric oxygen (HBO) is the definitive treatment for DCS and AGE. Prior to definitive care, breathing 100 percent oxygen can expedite inert-gas washout, reduce symptom severity and enhance treatment effectiveness. 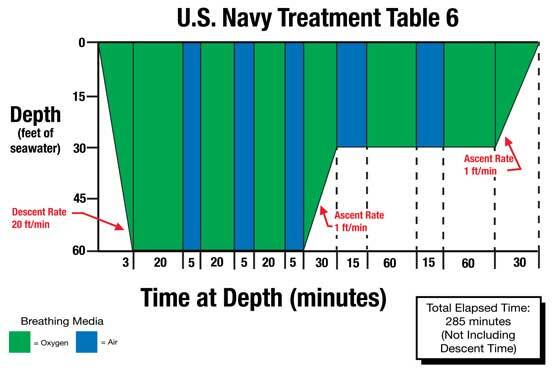 The most common and accepted initial chamber treatment protocol is the U.S. Navy Treatment Table 6. Depending on patient status, these treatments may be extended or repeated. DCI is treated with equal effectiveness in both monoplace and multiplace chambers. Monoplace chambers treat one person at a time, and patients are unaccompanied by medical staff. Multiplace chambers enable the simultaneous treatment of multiple patients and medical staff accompaniment, which is important for seriously injured people. Dive accidents can be frightening, and once DCI is suspected, many divers fail to consider alternative explanations for the symptoms. To ensure that other severe injuries, illnesses and conditions are considered, DAN recommends that injured divers seek medical evaluation at the nearest hospital or medical clinic. If DCI is indeed the diagnosis, the staff and, if necessary, DAN can initiate a timely transfer to an appropriate and available hyperbaric facility. Dive accidents prompt many questions. After you have contacted local emergency medical services, contact the DAN Emergency Hotline at +1-919-684-9111, or encourage the treating facility to do so. DAN can provide pertinent medical information as well as assist with planning and coordinating an evacuation. the gas and the time as she administers hyperbaric treatment. Boyle’s Law: At a constant temperature, the volume of a given gas is inversely proportional to the ambient pressure. To maintain a neutral lung volume as we descend on scuba, we inhale proportionally more gas molecules per breath. Dalton’s Law: The total pressure exerted by a gas mixture is equal to the sum of the partial pressures of each individual gas in the mixture. As we breathe more gas molecules per breath on descent, the potential impact of elevated partial pressures becomes important. Nitrogen narcosis results from an elevated partial pressure of nitrogen. Henry’s Law: At a constant temperature, the amount of a given gas that dissolves into a liquid is directly proportional to the partial pressure of that gas above the liquid. In physiological terms, this gas pressure exists in our lungs relative to the gas pressure in our blood. The greater the pressure of gas in our lungs, the more gas will dissolve into our blood and tissues. This is the basis of decompression sickness. Denoble PJ, Caruso JL, et al. Common causes of open-circuit recreational diving fatalities. UHMS 2008; 35(6): 393-406.